Yesterday we decided to have a days birding and catch up on some of the long-staying scarcer birds that have been hanging around the Broads since the New Year. 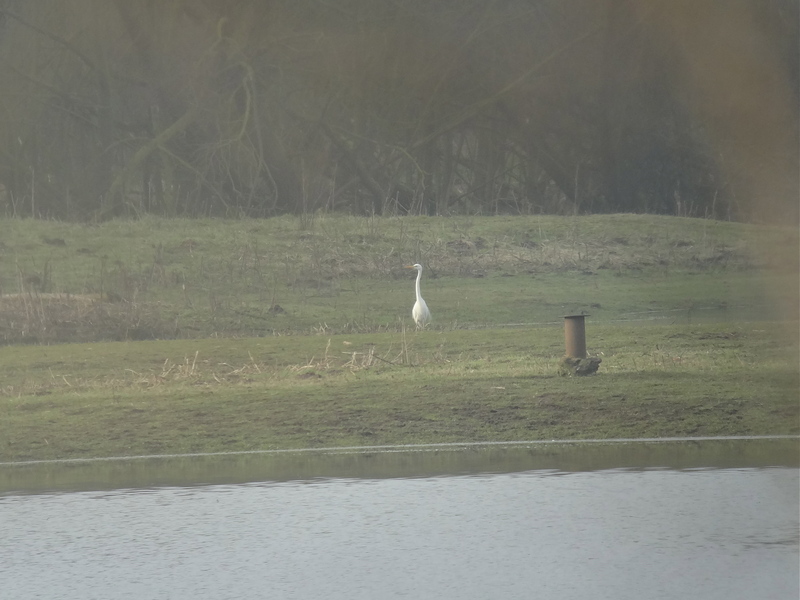 We started at Earlham, just west of Norwich, to look for the Great Egret that’s been loitering in the Yare valley. Having parked the car and strolled back to the Tollgate Way bridge, the bird was obligingly out in the open, if a little distant – feeding in the pastures to the west. First ‘target’ species under the belt! Next, off to another stretch of the Yare, further down stream, to look for Bean Geese. We scanned from the platform at Buckenham station but this time no joy. They’ve not been reported from this spot for a while, so we didn’t feel too bad and the Short-eared Owl was some compensation anyway. Our next stop was the Waveney forest to look for the Rough-legged Buzzards that have been wintering there. 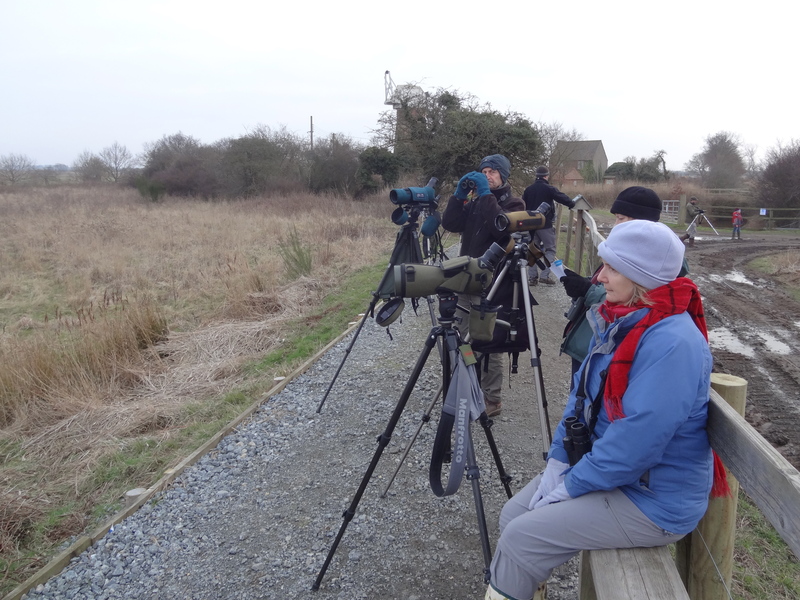 Having found the ‘mound’ and a couple of birders we were invited to look at a perched Marsh Harrier. We did and I said I was pretty sure it was a Rough-legged Buzzard! Twenty minutes later, when a farm vehicle disturbed it from it’s perch and it flew, the bright white upper tail patch, confirmed it’s ID. We also had a nice Peregrine there. On to Gt. 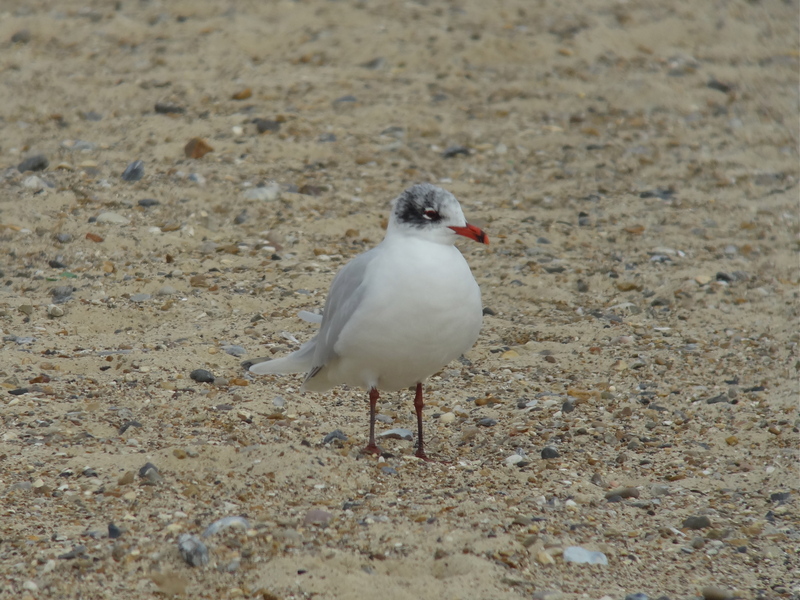 Yarmouth to look for Mediterranean Gull – which we found, 18 in all states of age/plumage, along the beach. Cockshoot Broad was our next location – a lovely NWT reserve, good for winter wildfowl. We’d spent twenty minutes in the hide examining the small duck flock in some detail, coming to the conclusion that our target bird was not on show, when something disturbed the birds at the far end of the broad. Up popped the female Ferruginous Duck, which then quickly swam back to the vegetation and was lost from view! Another ‘hard to get’ species UTB! 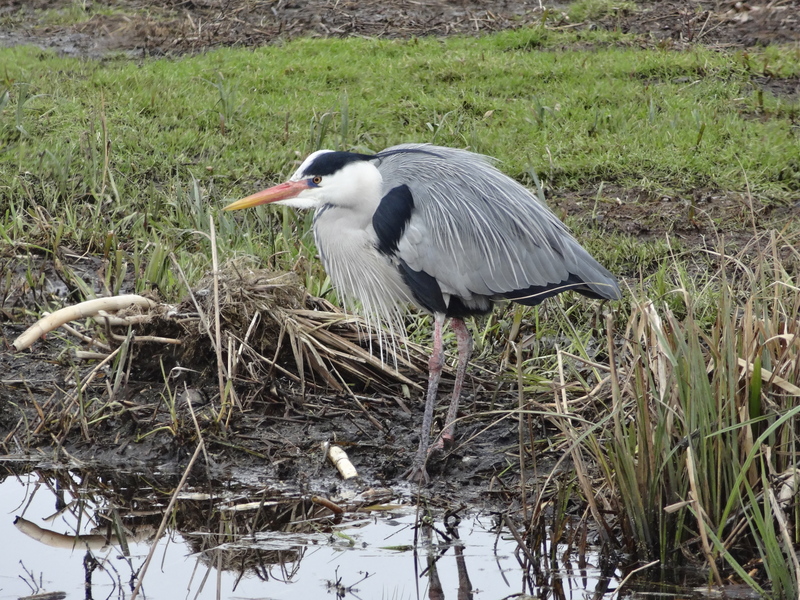 Lunch was the ‘chippy’ at Wroxham before pressing on to Barton Broad and the last of our ‘pinned down’ species. Once at the observation platform it was apparent that all the ducks, apart from a small flock of Goldeneye feeding in open water, were at the far end of the broad. 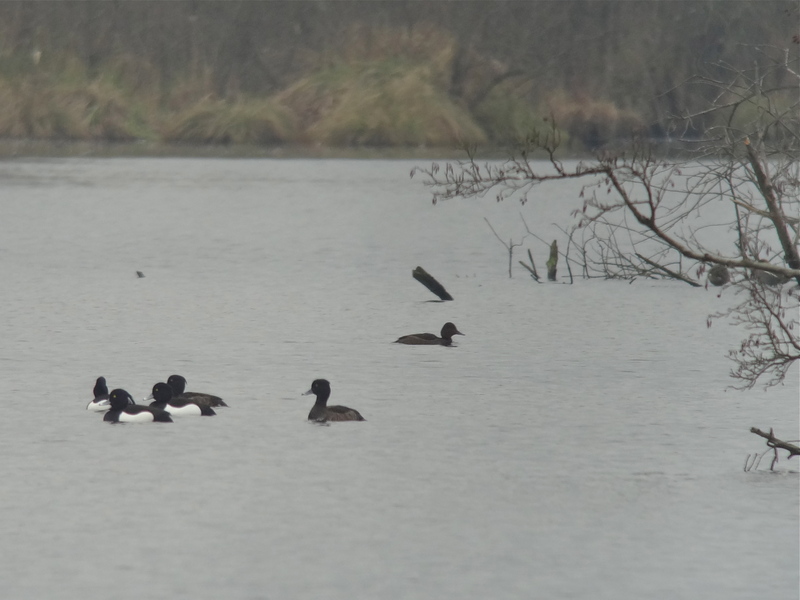 It took time and considerable eye-watering ‘scope work to locate one of the reported Scaup, in amongst the tightly packed Tufted flock. Still the nearby Water Rail provided some entertaining distraction. It was then off to our final destination, to watch the evening roost at Stubb’s Mill. 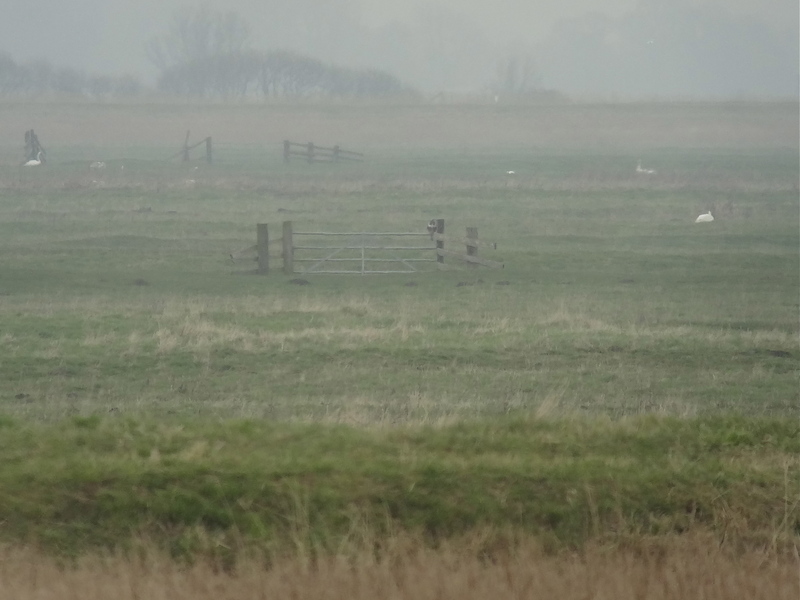 We got to the viewing platform by half past four, and the action was already starting – four handsome Common Crane flew through whilst a Merlin perched in a distant hawthorn and several Marsh Harriers where patrolling the fields before bedding down for the night. A male Stonechat was flitting around in the nearby bushes as a splendid ‘ghost’ male Hen Harrier came to roost. “Egret…” was called and, as I studied the distant bird flying across the winter landscape, it became obvious that it was another Great White…our second for the day and a bit of a surprise! Forty plus more Marsh Harriers, a report of two distant Crane, and it was time to go. By which time it was nearly dark and we were utterly frozen but very pleased with our days work. Half way back to the car park, against the pink and mauve of the dusk sky, two honking Crane flew overhead – just perfect! If you look carefully you can just see a Rough-legged Buzzard sitting on the gate, next to the right-hand post. 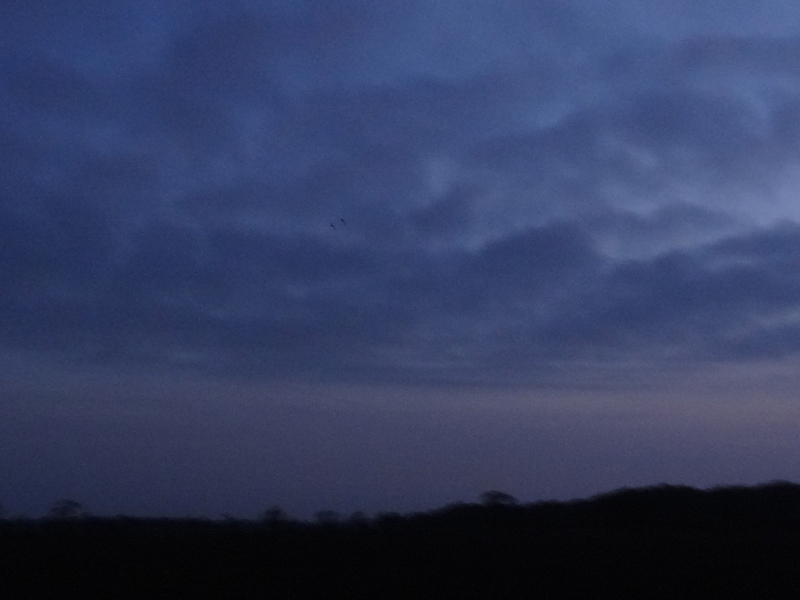 If you look very carefully….two distant Crane, flying to roost! The end of a really good Broadlands birding bonanza.